The Ministry of Culture's 6th Public Art Awards celebrates public art installations completed between 2015 and 2016. A total of 243 entrants were submitted from 18 cities and counties nationwide, making for a more heated competition than the last awards, which attracted 171 entrants. After deliberation by the judges, 30 pieces were shortlisted as nominees competing across six titles: the Excellence Award, Creativity Award, Environmental Integration Award, Public Participation Award, Education Outreach Award, and Citizen-Hosted Public Art Award. The styles and materials nominated for this round of awards are more diverse than ever, and the integration of the works with their surroundings has also greatly increased. Public art projects of different types and needs highlight different characteristics. This time around, the Creativity Award and the Environmental Integration Award accounted for the greatest number of submissions, with almost 70 pieces for each category. The locations of the pieces are also diverse, covering school campuses, bus and train stations, legal courts, science parks, and even highway rest areas. The nominees this time are also characterized by a higher level of artistic planning. They present clearer themes and a greater sense of integrity, with more and more artists working to integrate their pieces with a region's local cultures, cultural attractions, and historical memories. Several of the nominees have been shortlisted for multiple awards, indicating a growing focus on overall presentation and a higher standard of planning. Also of note this time is the number of submissions for the Citizen-Hosted Public Art Award — which reached a total of 16 — far outstripping past years. Organizations involved include banks, hotels, motels, construction companies, tech firms, and private art galleries, demonstrating that the government's two decades of public art policy have led to a growing focus on aesthetics among the public. After the 5th Public Art Awards, the Ministry of Culture aimed to use the awards as a means to drive greater integration of opinions and broader discussion, and motivate progress and breakthroughs in Taiwanese public art. In addition to highlighting the achievements of public art across all avenues of society, it is also essential to enhance the public's awareness and understanding of public art. 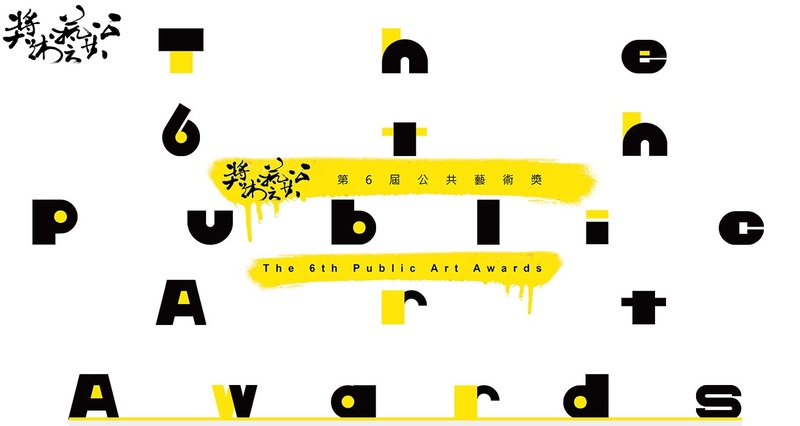 The 6th Public Art Awards ceremony will be held at 1pm on Dec. 14 at the Songshan Cultural and Creative Park in Taipei. Winners will be announced at the ceremony, along with a special award from the jury panel. Visitors Today:155. All Time Visitors:1,229,962.